Europe is experiencing the worst crisis since the end of the East-West conflict. Not only dealing with Greece and the thousands of refugees heighten tenses across the continent, but also the ceasefire negotiation process in Ukraine remains fragile. As long as the conflict over the future of Ukraine is unsolved, the real danger of escalation is on the table. A comprehensive peace treaty for Europe, envisioned by the Charter of Paris 1990, is still needed. Europe has no interest in aggravating old controversy between the United States and the USSR, bringing Russia to its knees. There is a difference between the European and the American interests: pan-European problems cannot be solved without Russia or even against Russia. Recent history shows: Russia and the peoples of the Soviet Union contributed more than anyone to the liberation of Europe from fascism and later to the unification of Germany. Therefore, Germany has a special responsibility to win Russia as a negotiating partner in the European peace order. In 1990 it seemed that the answer to these questions is found once and for all: Russia became a co-architect of the European integration. Russia, alongside with the USA, would naturally become an anchor and an equal partner. Since then Russia’s expectations have been deeply disappointed: EU and, what’s more important, NATO enlargement policy totally excluded the possibility of Russia’s membership. It was too difficult, as the country was too big. Moreover, some Eastern European states claimed that their quick accession to NATO membership was a military precaution against Russia. Having no perspective to join NATO itself, more and more patriotic Russia sees the expansion of the structures of the Western alliance as a threat. NATO expansion nourished Russia’s old fear of being surrounded and it was gradually forced to thinking in geopolitical categories and zones of influence. In this situation bold political initiative is needed comparable to the initiatives that helped to stop the conflict spiral during Berlin Wall and Cuban Missile Crisis. It was German social democracy that paved the way to the new Willy Brandt’s Ostpolitik and the détente. In 2015 we require such courage and political wisdom to counter the threat of renewed confrontation and division of Europe. We call to stop the confrontation and restart our relations with Russia before it is too late for all of us. The Ukraine crisis cannot be solved by political sanctions against Russia. 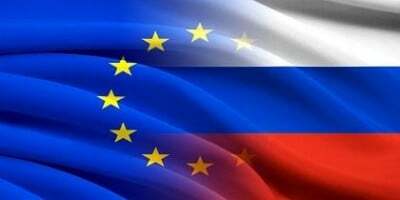 The underlying causes of the Russian-European alienation should be discussed at EU-Russia summit talks. Lasting reconciliation of interests can only be achieved through dialogue and negotiation. The economic sanctions undermine the development of Europe as a common economic area. Cooperation is an engine of confidence building. Energy infrastructure that has already been affected by the current sharpening of contradictions is a vital part of our mutual interests and bilateral trade. The European Union that is partially responsible for the roots of the crisis must contribute to its solution on the basis of consensus. The interaction of Germany, France and Poland with Ukraine and Russia in Minsk II Agreement is an innovative approach. Implementation of Minsk II may bridge the credibility gap. A wider European integration is needed. Germany must throw into the say its position as a future OSCE president and act in the spirit of dialogue. The United States as the most important partner of the new Ukrainian government has also high responsibility to find a solution to the crisis. All available international fora should be used to bring Russia and the US together. In times of crisis we need to maintain close ties in order to communicate effectively. Therefore, G7 should involve Russia and the work of the NATO-Russia Council should continue as soon as possible. Essential ways to negotiate in crisis should not be limited but broadened. The incorporation of the Crimea into Russia is a violation of international agreements. At the same time it is a political reality that cannot be undone against the will of the majority of Crimea’s voters. The status quo must not undermine the constructive cooperation with stakeholders of the common European interest. Ukrainian crisis is also the result of a weak federal structure in a relatively new state. Only through a strong federal system the country can protect itself from ethnic strife and the threat of secession. The experience of other European countries with federal structure should be offered to Ukraine if needed. NATO membership for Ukraine will not enhance Alliance’s security. It will fuel the flame of Russia’s fears about NATO objectives and increase the risks of unwanted military confrontation. The framework of the OSCE and the “Vienna Document” 2011 is vital in times of crisis and should be implemented to bring together political and military bodies of all European states. The Ukraine crisis threatens the European arms control. Arms race, transfer of lethal military equipment and new troop deployments on both sides of the Russian border undermine the existing system of arms control treaties. The participation of German troops in the military training of the “intervention force” can trigger on the Russian side memories of the German invasion and aggravate tension, which is unnecessary. Disengagement of troops, non-proliferation and arms curbs are goals to be achieved as soon as possible. During the Ukraine crisis we saw alarming rise of nuclear intent once again. There is a risk of rearming with medium range nuclear missiles in Europe as it happened in the 1980-es. Nuclear weapons must be finally outlawed. A matter of principle weapons of total annihilation should not be part of employable forces. European peace order is not only an order of states. It is based on strong civil societies and, among other, international cooperation in the field of culture, media, sports and science. Restart of European youth exchange programs with Russia and Ukraine may help to overcome stereotyping and encourage better understanding of each other and, consequently, build better relations. Europe needs Russia and Russia needs Europe. We stand at a tipping point. Either we enter a more or less Cold war with dim future or pave the way together the new common European peace order. 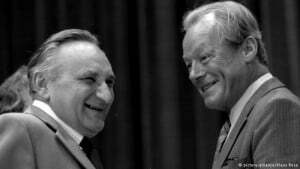 Prof. Egon Bahr was the creator of the “Ostpolitik” promoted by West German Chancellor Willy Brandt, for whom he served as Secretary of the Prime Minister’s Office from 1969 until 1972. Between 1972 and 1990 he was an MP in the Bundestag. Prof. Dr. Walther Stützle was the Deputy Minister of Defense in 1998-2002. Dr. Christoph Zöpel is the SPD politician, Foreign Minister in 1999-2002. Prof. Dr. Ingomar Hauchler, Bundestag MP (SPD) from 1983 to 1998. Antje Vollmer, is a member of the German Green Party. From 1994 to 2005, she was one of the vice presidents of the Bundestag. Prof. Dr. Dieter Klein is the Head of the Commission on the Future of the Rosa Luxembourg Foundation and a member of its Board. Prof. Dr. Gustav Horn is the Professor of Economics at the University of Flensburg, Scientific Director of the Institute of Macroeconomic Research in the Hans Böckler Foundation. Dr. Rainer Land is the German social scientist and economist. Prof. Dr. Götz Neuneck is the Deputy Director of the Institute for Peace Research and Security Policy at the University of Hamburg (IFSH) and Director of the Interdisciplinary Research Group Arms Control and Disarmament (IFAR). Prof. Dr. Rolf Reissig is a member of the Scientific Advisory Board of the Rosa Luxembourg Foundation. Prof. Dr. Elmar Brähler, was the Professor of Medical Psychology and Medical Sociology at the University of Leipzig. Prof. Dr. Peter Brandt is the German historian and retired Professor for Modern and Contemporary History at the University of Hagen. Prof. Dr. Michael Schneider is the German political journalist and literary critic. Prof. Klaus Staeck is a German lawyer and publisher. Dr. Friedrich Dieckmann is the author of essays, reviews, stories and radio features. Prof. Dr. Hans-Joachim Gießmann is the Executive Director of Berghof Foundation. Prof. Dr. Lutz Götze, Professor Emeritus of the University of Saarland. Dr. Enrico Heitzer, Researcher of the Brandenburg Memorials Foundation. Gunter Hofmann is the German journalist working for Die Zeit. Dr. Hans Misselwitz is a functionary of the SPD and a founding member of the Institute Solidarity modernity. Dr. Irina Mohr is the leader of Forum Berlin of the Friedrich Ebert Foundation. Dr. Edelbert Richter is a Member of the European Parliament in 1991-1994, German Bundestag MP in 1994-2002, member of the Federation of German Scientists. Dr. Friedrich Schorlemmer, is a German Protestant theologian, civil rights activist and member of the SPD. Wolfgang Schmidt is the Hamburg Commissioner to the Federal Government, the European Union and of Foreign Affairs; Member of the Committee of the Regions. Axel Schmidt-Gödelitz is the Chairman of the East-West Forum. Volker Braun is the prominent German writer living in Berlin. Daniela Dahn is the writer, journalist and essayist. Ingo Schulze is a German writer from Dresden.